Looking for ideas to create a fun and unique gag gift? You can make a funny gift for someone you know. These homemade gag gifts are lighthearted and are sure to amuse anyone. Some are holiday specific but others work at any time of the year. You can make the 12 days of Christmas stand out to your loved one by getting them a representative item from each of the 12 days. For example, for two turtle doves, you can give two bars of Dove soap or two Dove chocolates. For five golden rings, consider opening a can of pineapple rings and giving five of the ring-shaped fruit slices. Learn how to make a fun gag gift letter using candy bars in place of some of the words. This message was originally created for a graduation gift, but it can be altered and used for any occasion. Kids will go crazy for these Easter poop gifts you can make as a silly Easter surprise. Leave chocolate covered raisins as bunny poop. Or, use pastel M&M's as peep poop and rainbow jellybeans can stand in as poop from the Easter Bunny. When it comes to tall fish tails, you probably have heard an exaggerated story about the one that got away. This gag ruler gift is perfect to give to your favorite fish fibber. Use a jumbo-sized craft stick and a sharpie to make this fake ruler that will make any fish seem huge. All you need to do is measure out hash marks that make 12 inches appear on the length of the ruler that is only 7-inches long. All of the adults on your gift giving list will get a chuckle out of these fun redneck wine glasses made using mason jars. Just glue the bottom of a mason jar to a glass candle holder and your gift is done. If you want to be fancy, you could tie a ribbon around the base where the jar meets the candle holder. While this Booed letter gift works similar to a May Day basket or a chain letter, it can be fun to see if you can get your neighbors to pass it on and keep it going. It's a lighthearted, fun Halloween activity that is more silly than spooky. This is also a nice way to spread some friendly camaraderie and goodwill throughout the neighborhood. Humorous fake certificates are terrific for office get-togethers, school parties, or other occasions where you want to roast someone. Use what you know about the person to personalize their certificate and poke gentle fun at them. For giggles, you can consider drafting up the "Selective Hearing" award, "Over the Hill" award, or the "Least Likely to Get to School Early" award for your friends and loved ones. If your kids are at the age where nothing is as hilarious as a little poop, they'll never stop laughing at this gag gift. Use mini marshmallows to mimic a snowman's waste products. Or, to go for reindeer poop, gather some chocolate covered raisins or malted milk balls. Make little gift bags of your Christmas poop as a tasty stocking stuffer. You can even leave a note for Santa apologizing for the poopy mess. Tired of getting gifts with the batteries not included? 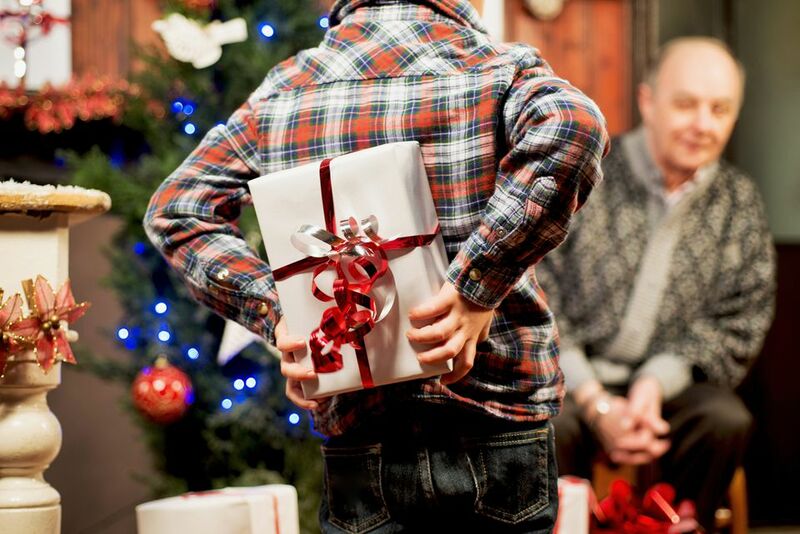 Turn the tables and give batteries without the gift. Wrap them and add a note saying "gift not included" and hope that your recipient has a good sense of humor.